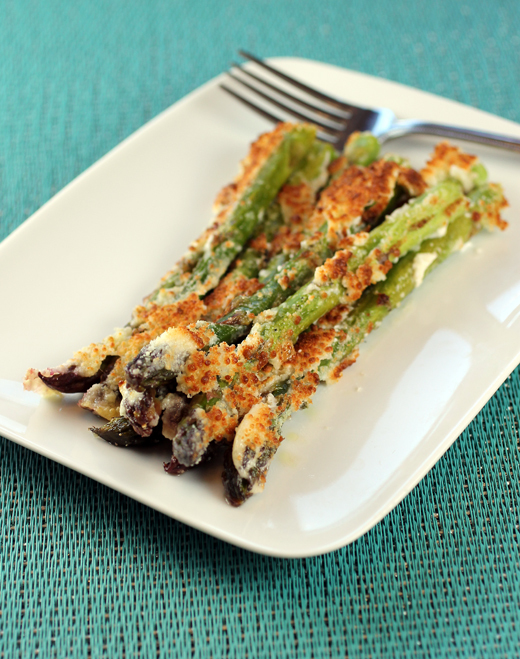 Asparagus spears get broiled with mayo and grated cheese. 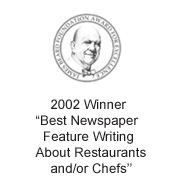 If there’s any restaurateur noted for impeccable service, it’s New York’s Danny Meyer. The CEO of Union Square Hospitality Group, Meyer has founded and overseen some of Manhattan’s most acclaimed establishments, including Union Square Cafe, Grammercy Tavern, Maialino, The Modern and many more. He’s even authored a book on the art of hospitality. So, it’s probably no surprise that Meyer takes staff meals seriously. After all, it’s a way to nourish and care for the folks who work for him. 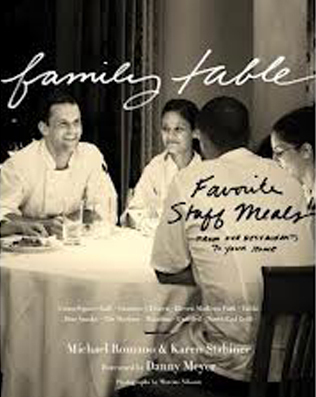 “Family Table: Favorite Staff Meals From Our Restaurants to Your Home” (Houghton Mifflin Harcourt) showcases just that. 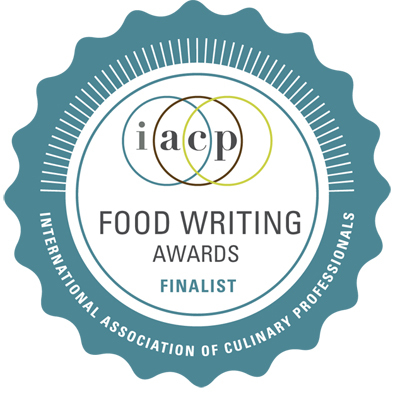 The new cookbook, of which I received a review copy, was written by Chef Michael Romano, culinary director for Union Square Hospitality Group, and Karen Stabiner, adjunct professor at Columbia’s graduate school of journalism. 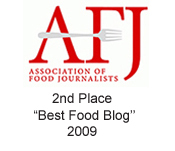 It includes more than 150 dishes that have been served to staff at his restaurants. The book is arranged traditionally with chapters divided into soups, salads, seafood, drinks, desserts and the like.